When I saw a link that said, “Teemu Selanne’s Decision”, I thought I was in for an hour long special like Mr. take my talents to South Beach. A boring hour long lead up to a 10-second verdict. In a whimsical, 1 minute 25 second video, Selanne shows off his golfing skills, or…lack of golfing skills, and comes to the decision that he will return for his 22nd, and final season. 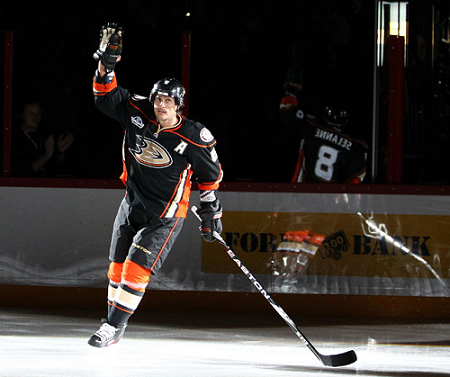 He signed a one year deal with the Anaheim Ducks to finish his career off with Anaheim. The Finnish Flash, a living legend, has played 1387 games with multiple teams, most of them being with Anaheim, and has 1,430 career points.